To Cite: Yousefi Z, Jafarian A H, Shirinzadeh L, Mousavi Seresh L, Babapour N, et al. Iliopsoas Muscle Metastasis from Cervical Carcinoma, Women Health Bull. 2018 ; 5(2):e14926. doi: 10.5812/whb.14926. 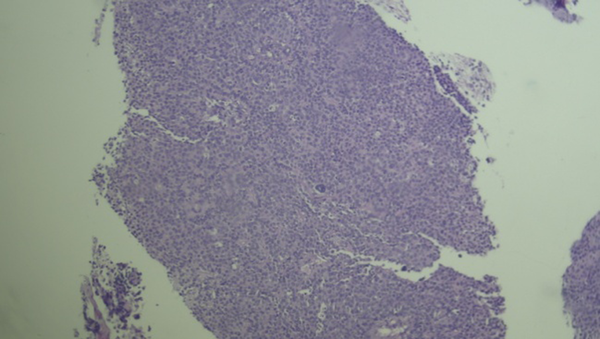 Introduction: Isolated metastasis of cervical carcinoma to iliopsoas region might be infrequent and its occurrence is a diagnostic challenge. The aim of this study was to report a case of iliopsoas muscle metastasis from cervical carcinoma. Case Presentation: A 52-year-old multiparous females complaining about post menopause bleeding was referred to the researcher’s oncology department. Gynecological examination revealed cervical mass with involved parameters and biopsy confirming squamous cell carcinoma. 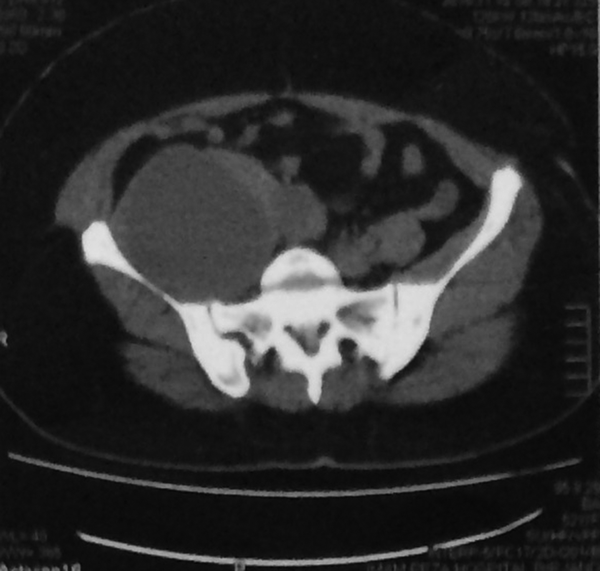 In addition, the patient had a large cystic mass on the lateral side of pelvic area and abdomen. Investigations detected solid ovarian mass associated with a rise of tumor marker CA-125 and CEA levels. Magnetic resonance imaging (MRI) and CT scan reports suggested possible hematoma in iliopsoas muscle. Imaging-guided biopsy detected metastatic squamous cell carcinoma in iliopsoas muscle mass. Based on diagnosis of advance stage cervical cancer, the patient received chemotherapy following adjuvant radiation therapy. Conclusions: Metastasis of squamous cell carcinoma of the cervix to iliopsoas muscle is considered as a rare event. It is recommended to keep this unusual manifestation in mind. Cervical cancer had spread predominantly through the local extension and the lymphatic system. Occurrence of hermatogenous metastases is considered infrequent. The most common site of distance metastasis of cervical cancer are the lungs, liver, bones and the brain (1). Skeletal muscles may be rarely affected and involvement of iliopsoas muscle might account as an unusual phenomenon in the literature. Since 2008, only 10 cases with muscle metastasis from cervical cancer have been reported in literature (2). In the case described by Kalra et al. (3) and Kamal et al., involvement of iliopsoas muscle secondary to cervical cancer was diagnosed several years after radiotherapy treatment of the primary tumor (3, 4). The occurrence of coexistent cervical cancer and involvement of iliopsoas muscle at the time of diagnosis of the cancer has not been reported. The aim of this article was to report on a case of iliopsoas muscle metastasis from cervical carcinoma. A 52-year-old multiparous female was referred to the oncology department of an academic hospital, Mashhad University of Medical Sciences, during the year 2017. She was admitted to the cardiology department since 20 days ago due to deep vein thrombosis (DVT) in her right lower extremity and was under anticoagulant therapy. According to the history of post menopause bleeding for 2 months and hemoglobin level of 4 gr/dL, blood transfusion was performed. Pelvic and abdominal ultrasonography detected a multicystic mass of 89 × 87 × 125 mm in the right ovary. The tumor marker CA-125 was 68 and CEA was 49 ng/mL. Therefore, she was referred to the gynecological clinic. According to abnormal appearance of cervix in pelvic examination and involvement of parameters suggestive of stage II cervical cancer, a biopsy was taken. Based on pathology results of squamous cell carcinoma, radiotherapy was recommended. Moreover, due to right side fullness of abdomen, repeated sonography was requested. ultrasound detected a large cystic mass of 90 mm with internal septa and parietal nodular papillary and solid components according to iliac muscle. Report of Pelvic MRI (Figures 1 and 2) and CT scan showed possible hematoma, soft tissue sarcoma or retroperitoneal abscess. Ultrasound-guided needle biopsy revealed metastatic squamous cell carcinoma (Figures 3 and 4). In fact, the iliopsoas muscle metastasis from cervical carcinoma and muscle hematoma and decreased hemoglobin level attributed to vein thrombosis and led to late diagnosis. Currently, the patient is under administration of systemic chemotherapy following adjuvant radiation therapy of stage III cervical cancer. This paper was performed according to the patient’s informed consent. Iliopsoas muscle metastasis from cervical cancer is very rare. Also, this location is the most common site of skeletal muscle involvement in this malignancy, yet this metastatic lesion at the time of diagnosis of cancer is a rare phenomenon. It is important to differentiate between a primary or secondary iliopsoas muscle malignancies. Primary tumors, which metastasize to the iliopsoas muscle, include lymphoma, melanoma and breast, lung, and cancer of ovary and cervix. Secondary features are most often to direct extension of an adjacent organ. However, sometimes differentiation is very difficult (5). In fact, clinical presentation, association of advanced imaging techniques including ultrasound, computed tomography particularly magnetic resonance imaging and PET/CT scan with higher sensitivity and higher specificity can be useful (6). Most patients with advanced cervical cancer may have widespread metastatic lesions. Therefore, complete workup have been advocated as the diagnoses of these lesions. A histopatological specimen can be proposed as an appropriate modality of accurate diagnosis (7). In the current case, in addition to utilization of variable imaging, needle guided biopsy confirmed the presence of tumor cells. Appropriate management of this condition is still controversial. In the study of Kausar et al., palliative local radiotherapy followed by chemotherapy was recommended (8). In the case of Gunaseelan Karunanithi et al. local radiotherapy followed by palliative chemotherapy was achieved (9). Iliopsoas muscle metastasis represents an advanced stage cervical cancer, thus it is preferable to avoid an aggressive treatment. Chemotherapy can be an appropriate treatment of metastatic lesions (3). Although radiotherapy is an effective treatment of cervical carcinoma, yet due to progression of disease in the current patient, systemic chemotherapy following adjuvant radiation therapy was considered. The current case was unusual because of the abnormal spread of metastasis and deep vein thrombosis after hematoma due to presser effect of the tumor. Metastasis of squamous cell carcinoma of cervix to iliopsoas muscle has been considered as a rare event. It is recommended to keep this unusual manifestation in mind. 1. Yuan F, Zhang C, Cui Z, Li X, Li X, Lin W, et al. Cervical squamous cell carcinoma with isolated tibial metastasis: A case report and review of the literature. Oncol Lett. 2014;8(6):2535-8. doi: 10.3892/ol.2014.2540. [PubMed: 25364422]. 2. de Souza Leão AR, Guimarães Amaral RP, Abud TG, Sauaia Demarchi GT, Freire Filho EO, Novack PR. Iliopsoas compartment lesions: a radiological evaluation. Radiol Bras. 2007;4(4). 3. Kalra N, Aiyappan S, Nijhawan R, Sharma SC, Khandelwal N. Metastatic carcinoma of cervix mimicking psoas abscess on imaging: a case report. J Gynecol Oncol. 2009;20(2):129-31. doi: 10.3802/jgo.2009.20.2.129. [PubMed: 19590727]. 4. Kamal M, Driss Touiti D, Jouhadi H. Iliopsoas metastasis from cervix carcinoma masquerading as psoas abscess. J Cancer Sci Ther. 2012;4(4):75-6. doi: 10.4172/1948-5956.1000114. 5. Hong JH, Song SH, Lee JK, Lee NW, Lee KW. Eur J Gynaecol Oncol. 2011;32(2):221-3. [PubMed: 21614923]. 6. Basu S, Mahajan A. Psoas muscle metastasis from cervical carcinoma: Correlation and comparison of diagnostic features on FDG-PET/CT and diffusion-weighted MRI. World J Radiol. 2014;6(4):125-9. doi: 10.4329/wjr.v6.i4.125. [PubMed: 24778775]. 7. Surov A, Hainz M, Holzhausen HJ, Arnold D, Katzer M, Schmidt J, et al. Skeletal muscle metastases: primary tumours, prevalence, and radiological features. Eur Radiol. 2010;20(3):649-58. doi: 10.1007/s00330-009-1577-1. [PubMed: 19707767]. 8. 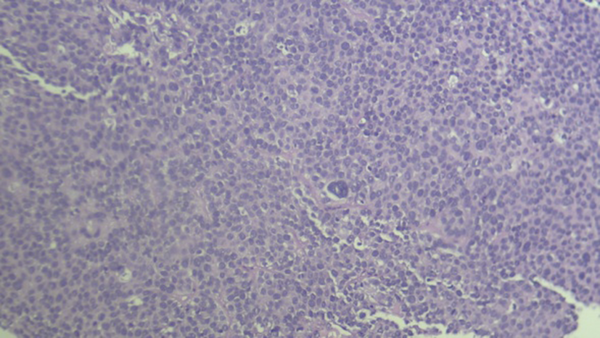 Kausar M, Ladia DD, Mutneja A, Bhandari V. Unusual skeletal muscle metastasis from carcinoma cervix. J Cancer Metastasis Treat. 2016;2:67-9. 9. Karunanithi G, Sethi P, Reddy KS, Rani PR. 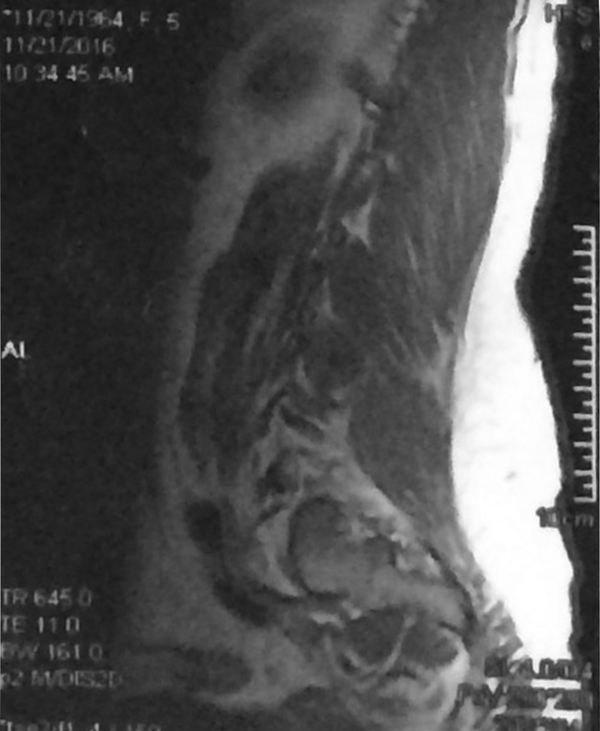 Skeletal muscle metastasis from carcinoma cervix: a case report. J Gynecol Oncol. 2010;21(3):196-8. doi: 10.3802/jgo.2010.21.3.196. [PubMed: 20922144].